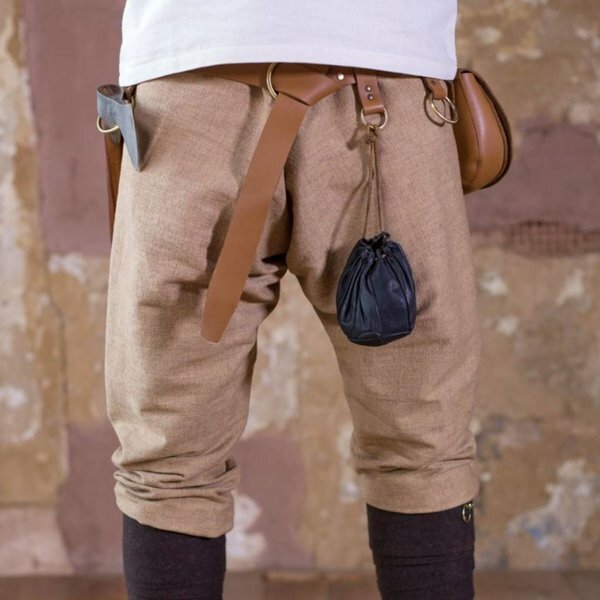 These Thorsberg trousers are based on the 3th-4th century original excavated in Thorsberg. Trousers like these were worn in North-Europe from the 2nd century BC until the 10th century AD. 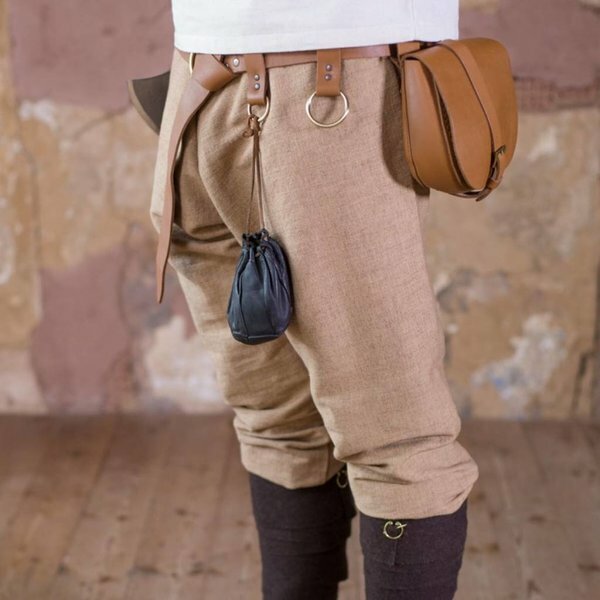 This type of trousers was even worn until the 16th centuries in some regions, like Ireland. 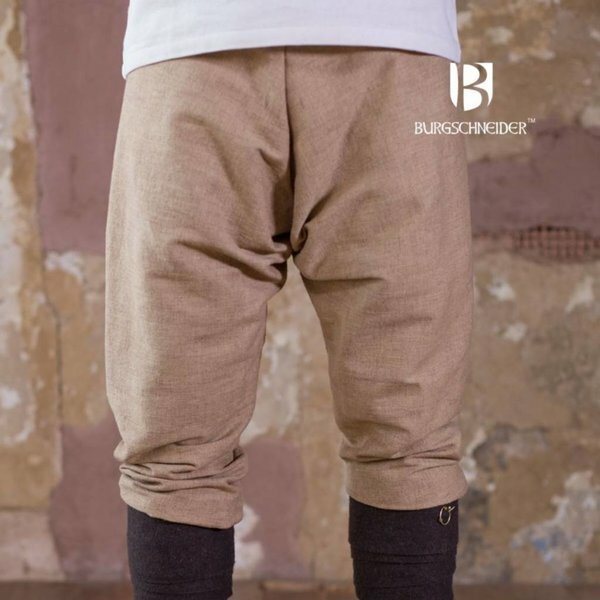 These comfortable trousers provide optimal freedom of movement. If required the bottom can be wrapped round with leg wrappings, which give extra warmth. The trousers are made of cotton. The sizes are measured on the clothing itself, not on the wearer.